The South Health District serves residents in 10 south Georgia counties. To find information about your local county health department, visit our county health department pages. South Health District’s mission is to promote and protect the health and well being of anyone that lives, works, or plays in the counties of Ben Hill, Berrien, Brooks, Cook, Echols, Irwin, Lanier, Lowndes, Tift, and Turner. The Georgia Department of Public Health (DPH) funds and collaborates with eighteen separate public health districts throughout the state. South Health District is comprised of ten counties in south central Georgia: Ben Hill, Berrien, Brooks, Cook, Echols, Irwin, Lanier, Lowndes, Tift and Turner. 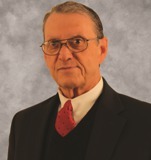 William R. Grow, MD, FACP is the District Health Director. Before being appointed as the director in December of 2010, Dr. Grow practiced Internal Medicine in Valdosta for over 35 years at Valdosta Medical Clinic. At South Georgia Medical Center, he served as Chief of Staff and Chief of Medicine at different times throughout his career. Through his work as an Internist, Dr. Grow developed a real passion for community health. While he enjoyed seeing patients personally in private practice, he now enjoys working to better the health of all individuals in South Georgia. Looking for employment? Check out our Employment Page.